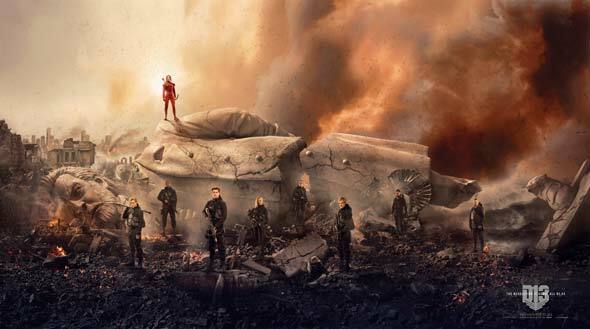 Lionsgate has released a massive piece of banner art dubbed ‘Fallen Snow’ showcasing the heroes of District 13 preparing for their final assault in the upcoming “The Hunger Games: Mockingjay – Part 2”. The banner follows a social media campaign which saw over 11.2 million clicks logged in one hour on the microsite Squad451 which has a larger and interactive version of the banner below. “The Hunger Games: Mockingjay – Part 2” is slated to open in 2D, 3D and IMAX 3D theaters beginning November 20th.